Vous souhaitez poser une question à l'établissement P1 House ? Très bien situé à Phitsanulok, le P1 House est une excellente adresse pour se lancer à la découverte de cette ville dynamique. Le centre-ville est à seulement 2.2 km de l'hôtel, et cela ne prend que 14 minutes pour rejoindre l'aéroport. Niveau visites, Wat Nang Phaya, Phra Si Ratana Temple (Wat Yai), Wat Phra Sri Rattana Mahathat ne sont que quelques-uns des centres d'intérêt qui attendent les voyageurs prêts à partir à la découverte de la ville. L'établissement met tout en œuvre pour le confort de ses clients en leur apportant les meilleurs services et équipements possibles. Pour le confort de ses clients, cet établissement propose WiFi gratuit dans toutes les chambres, réception 24h/24, stockage de bagages, WiFi dans les espaces communs, parking. Les 36 chambres de l'établissement, réparties sur 5 étages, sont chaleureuses, accueillantes et dotées pour certaines d'équipements modernes tels que télévision écran plat, accès internet (sans fil), internet sans fil (gratuit), chambres non-fumeurs, climatisation, pour n'en citer que quelques-uns. Grâce au vaste éventail de loisirs proposé par l'hôtel, les hôtes ne manqueront pas d'activités durant leur séjour. À tous ceux qui cherchent confort et commodité à Phitsanulok, posez vos bagages au P1 House. Très bon séjour. Chambres spacieuses et propres. Calme car nos chambres donnaient sur l'arrière. Petits restaurants, petits markets, banque et marché à proximité. Situé à 5 min en tuk tuk de la gare routière et 10 min en tuk tuk des lieux à visiter. promenade à travers la Thailande, déplacements en train et bus . Nous avons trouvé un super hôtel que nous recommandons sans hésiter et où nous serons de nouveau clients pour notre prochain séjour. Un hôtel de passage, rien à dire de plus. Un hotel grand et propre, bien situé près de la gare. Mal insonorisé sur la rue très passante. Accueil correct. Petit déjeuner moyen.Bien pour une nuit. I stayed in a superior room which was a grear value for money at really cheap price. Way better than most of the hotels ih Phitsanulok that are several times more expensive. Rooms are quite new, spaciois and sparkling clean! I loved it. It is a bit noisy as it is located just next to one of the main roads, but I could handle that. The place has a very nice bar and restaurant and food is quite ok and very reasonably priced as well. Staff, on the other hand- hum, lets just say, the less you communicate with them, the less problems and issues you will encounter. Yes, they do not speak English, but that is not the major problem, but their complete lack of the common sense and lack of willingness to assist foreign guests. There has been several occasions when they either intentionally caused me inconvenience or at least there was a lack of willingness to really help. I’ll just give you one example which is the last thing upon my check out, and summarizes my advice to try to avoid trying to get any assistance there: I asked for a taxi to the bus station (which is literally 10 minutes walk from the hotel) going to Sukhothai. They ordered me taxi which took me to the bus terminal 12 kilometers away, making me waste 3 hours, waiting for the bus to bring me back to the actual bus station I wanted taxi to take me to, and then waited another hour for its departure to Sukhothai. Avoid the staff! Very cute and nice place with wonderful room service until 11 pm. Though breakfast was very short (7.00-9.30) and not much to eat for guests. We discovered once we were there that the restaurant downstairs where we take breakfast also organize karaoke so thank you for the noices all night long. Conveniently located near a dentist I was visiting. The usual thai welcome you get in the country towns... ie... not really any English and find the room yourself deal. 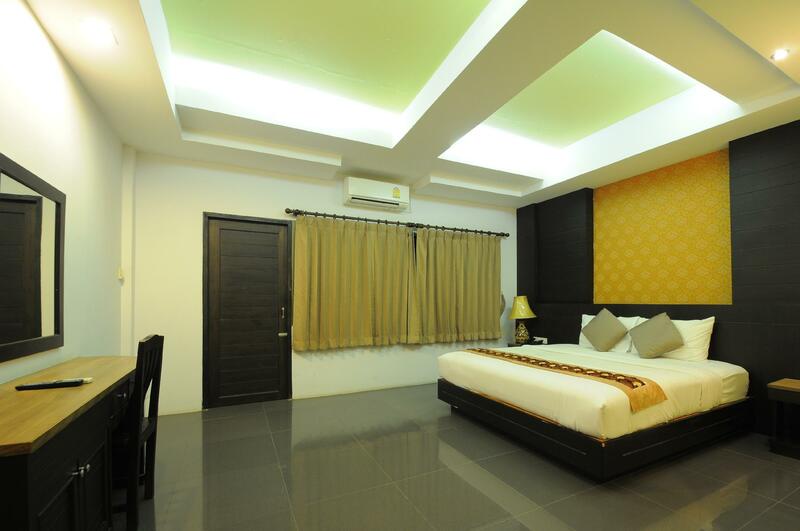 Rooms are spacious and beds comfy. Would recommend room that’s not on the road side. Restaurant down stars is located within the bar. Pretty good choice of meals and drinks. Not much excitement this part of town... bar was very quiet. If you have a car there is parking at the rear. Breakfast was included.... very basic.... but it filled a gap. All in all I would stay here again and recommend as a crash pad for night or two. The price is right and there is plenty of cheap road side restaurants available and 7/11 across the road. Towel had some stains, the other one was clean. Everything else was supergood, paid twice less than in previous place. Overall was a pleasant stay! The reception person is great; cheerful and friendly, making us feel welcome the moment we walked in. Only 1 issue - the basin in the bathroom did not had a stopper and was not a pleasant sight while using the basin and had to be extra careful for fear of dropping valuables. Huge room, nicely decorated chick hotel, good front desk staff. Room is huge, and is uniquely decorated. We had 2 different room and both are different styled. Interior is clean and well maintained. Front desk is very helpful. I had a car booking and it was late. Front desk assist me all the way to arrange for the car to be in time. There is a cafe/restaurant downstairs, hotel is overlooking the main road here (but it's a main road in small town) so accessibility is no issue. You can walk around for massage and shop to eat. Definitely will stay here again! 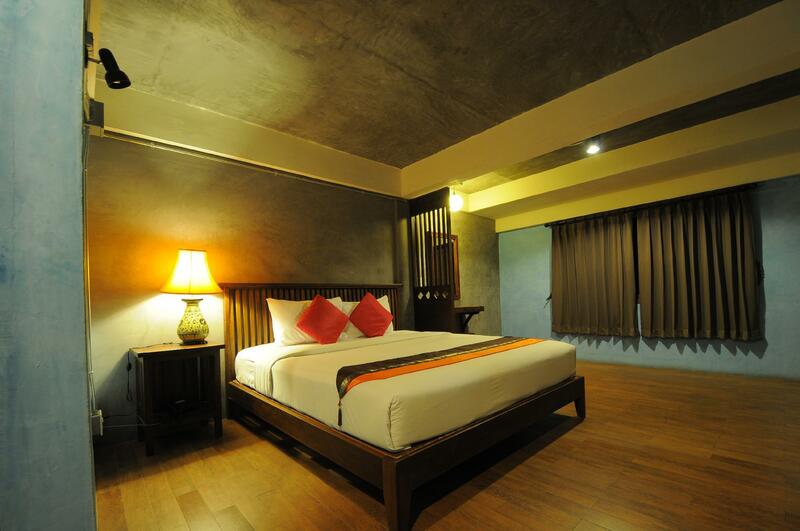 I have several short business trips to Phitsanulok and P1 has become the first place I look for lodging. Great restaurant, with Bossa Nova band playing at 2100. If you prefer food carts you are a few minutes walk from a vast array of fantastic food carts, additionally there is a 7-11 and Top market just across the street for picking up any items you may need. I have stayed at various higher rated hotels in the area and find none of them compare to P1.